This year has been fantastic for the new edition of our program La Transfo (1). Launched in 2016 in partnership with Bloomberg Philanthropies through its program “Innovation Teams” and a pioneer group of now 7 cities including Paris, this program is now producing tangible results. La Transfo is not just about creating labs and innovation skills within public organizations, it’s an empowerment process, an experimental program exploring systemic change, and looking for multi-level impacts : impact for end users, impact for civil servants as individuals, impact for teams and collectives, and impact on governance. We now have more and more precise feed-backs not only on each of these different levels, but at which condition the combination between them can create virtuous effects. The aim of this paper is not to dig into this knowledge that we’re progressively building, but to get you immerge in the diversity of projects, grounds and challenges this program is about, and what the near future looks like ! The number of heatwaves per year in Paris should shift from 1 to 2 in 2018, to 20 to 25 before the end of this century. How to make Paris more resilient in face of such climate change effects ? 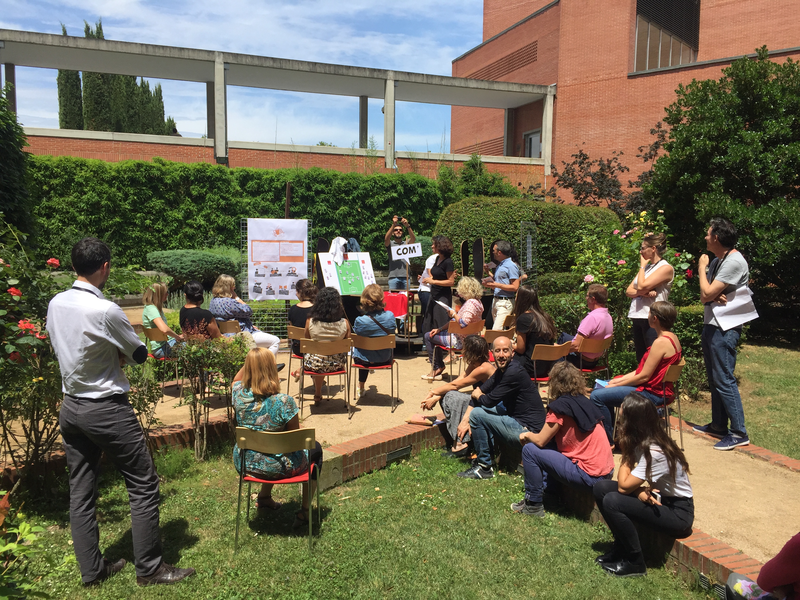 La Transfo’s team has explored how to transform the 600 000 m2 of schoolyards in Paris into « oases schools» where pupils, teachers and all the neighborhood could find fresh air during heatwave peaks. Through La Transfo, the team of 20 volunteer civil servants has learned how to use user-research and tests in order to co-design solutions with the children and the community and to convince a diversity of stakeholders – elected representatives, school directors, technicians, etc. to shift from a mainly technical approach (replacing previous concrete, etc.) to a user-centered one. Paris Lab has now taken up three pilot schools to test further this approach, compare it to other ones, and explore the conditions for upscaling these first success to all the schoolyards in Paris. This case is part of the strategy for a better resilience in Paris. There are four other cases run by La Transfo’s team in the following areas : promoting an eco-friendly behavior within the administration ; improving urban revegetation ; developing citizenship engagement ; exploring digital practices in libraries. Each year in the city of Mulhouse, more than 440 000 cigarette butts are thrown in the street. One of the consequences is that 200 billions liters of water are potentially polluted, added to the cost for the City -several hundreds thousands euros each year. Thanks to La Transfo, the group of 20 volunteer civil servants has learned how to apply user-research methods in order to get better understanding of this phenomena. The main conclusion is that this could be reduced significantly by the gamification of the experience of throwing cigarette butts, combined with the use of nudge methodologies. They also learned how to build a series of 15 prototypes of public bins and to test them in real conditions as a way to find the most effective solution. The first results are very positive both in terms of behavior change and public debate. The City of Mulhouse has just got an award for this experience during the National Urban Cleaning annual meeting. Mulhouse’s case has inspired other cities like Cannes, and a meeting has been organized with Tel Aviv’s Innovation team on that topic. Apart from cigarette butts, the team in Mulhouse is working on 3 other challenges: Â improving the citizen’s experience in the 50 city offices spread in the metropolitan area ; building a user-friendly strategy for the seven public libraries of Mulhouse ; and making culture more democratic for the youth. 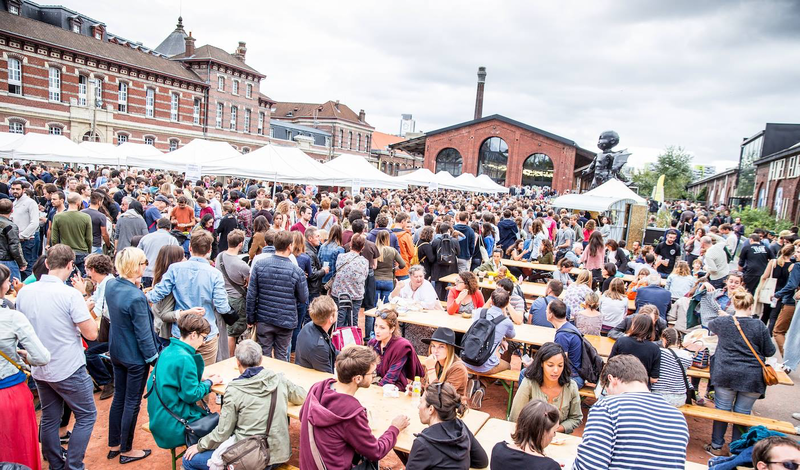 More than 5000 buildings and spaces are temporary unoccupied in the metropolitan area of Lille : these are brownfield sites, vacant buildings, land ownerships representing around 10% at the metropolitan scale and valued at 1,5 billion Euros. Today they generate significant costs in care taking and surveillance and in the long term they cause urban wasteland. There is a potential for hosting temporary activities that would regenerate the neighborhood in terms of social, economic and cultural activity, or even in testing new ways to deliver public services. But how to make it real when many diverse stakeholders with various interests are involved, with no clear policy at the metropolitan level ? 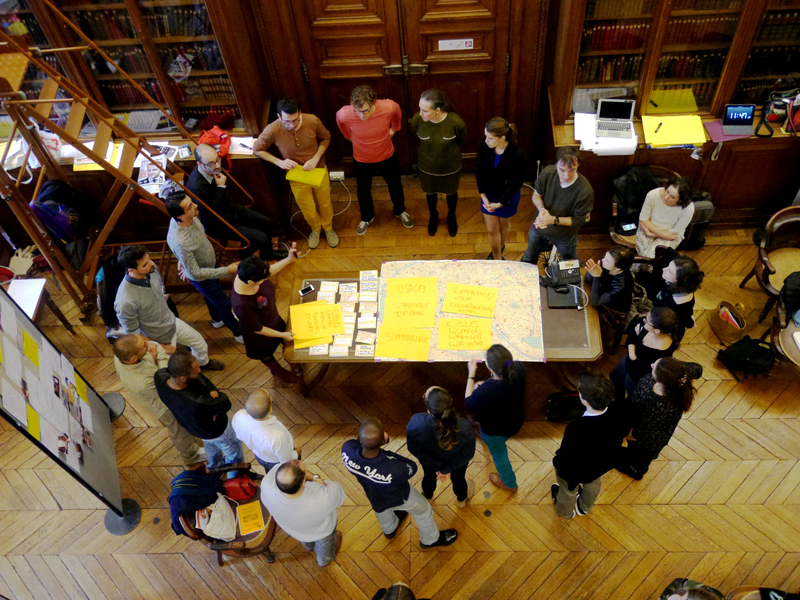 The 20 volunteer civil servants involved in La Transfo have first learned how to use field exploration as a way to identify key factors, but also to reveal controversies and side effects such as the risk of strengthening gentrification. Building on this, they were able to create a better narrative but also to generate tangible scenarios, then prepare a field test in order to make the proof of concept. The test that has been chosen is based on the idea that the City could deploy its own services in unoccupied buildings. Named « Pop Up, Open and Multitask Public Services », this concept is currently tested. Apart from unoccupied buildings, La Transfo’s team also explores how to improve housing energy performance for deprived populations.  All these cases are part of the projects that will be promoted during « Lille, World Design Capital 2020 ». 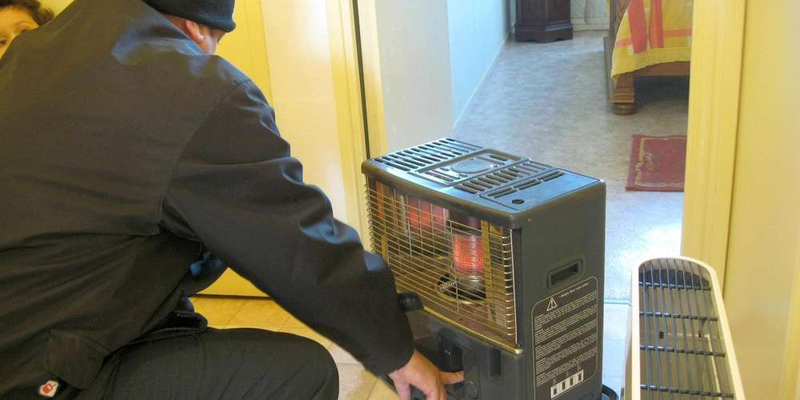 In France, more than 10% of the households don’t have the money to pay for their heating. In the City of Dunkerque, infrared thermography has shown that 25% of the roofs generate heat loss. Considering the increasing cost of energy, fuel poverty becomes a major social, economical and ecological challenge. More than ten years ago, the City of Dunkerque has decided to support the renovation costs for households. An hotline number and an information desk are also provided.This pioneering program is called Reflex’Energie and has some success : nearly 11 000 households have taken benefit from this support, representing 1,2 M€¬, 83 supplier companies now accredited -it’s 2 434 tons CO2 avoided just for year 2016. Yet the program has some limitation and a glass ceiling still needs to be broken : few roofs have been renovated, and the process remains long before getting support. In order to find practical solutions, the 20 civil servants part of La Transfo’s have learned how to get insights from users but also non-users, and to identify the main obstacles on the user-journey. Then they have built 20 solution scenarios and used play role as a way to prepare a field test with the main promising ideas. The test is about to be launched in the following weeks. Apart from fuel poverty, La Transfo’s team is also working on the future of services for the elderly, through a methodology based on video scenarios, and on improving and engaging inhabitants in the maintenance and enhancement of green spaces. Merging distant public organizations is a difficult challenge. When the regional government of Midi Pyrénées (3 millions residents, capital town Toulouse) has merged in 2014 with the regional government of Languedoc-Roussillon (2,8 millions residents, capital town Montpellier), the challenge for the new government was to keep improving policies and services provided to the residents, while launching a major re-organization. Carole Delga, the president of the new region called Occitanie, wants to promote user-centred governance and methodologies. But how to make it real ? Based on the idea that to be more effective towards end-users, civil servants must be seen as users too, la Transfo’s team focused on practical problems faced by civil servants. When you leave Toulouse for a meeting in Montpellier (around 3 hours by train or car), are you sure that you will find any available working space or a meeting room, in a building that you’re not familiar with ? How to deal with the various reservation systems ? How to learn from each other, create a common culture and how to work together more effectively ? Though field exploration, guided visits, interviews and play roles, the team has built various scenarios including a new search engine managed collectively. A prototype is now operational and will be developed in the following months. Other solutions include new spaces spend both for civil servants and residents (the « N-ème Lieu »), and « Carte Blanche », a new challenge for enhancing cross-department cooperation. The team has also re-designed the user-experience of the 11 local offices of the regional governments, and a community of practices led by office assistants has been created. The programme is also a « learning by doing » experience for the 150 public agents / ambassadors involved in each Transfo team : they acquire new competences (organizing field research, developing creative ideas, planning and monitoring experimentations, etc. ), autonomy in leading innovation projects, ability to work transversally, etc. In each local government the programme also involves 5 to 10 of their departments and about 100 – 150 additional agents through practical projects and awareness raising activities. La Transfo creates an appetite and ability to work across silos, to include new profiles within the administration (designers, data scientists, etc. ), to build new collaborations within public administrations and beyond. Moreover, it spread the conviction of the relevance to change the administration to improve public services and serve citizen better… which is an essential ground for the sustainability and ownership of the future lab. Most of the cities mentioned above have just ended the process of La Transfo, and have already decided to confirm and develop the activities of their new lab : Paris has just created three positions, including two service designers and a project manager, added to the head of the innovation lab. Mulhouse and Dunkerque are both about to take official decision about resources and budget dedicated to their lab, while Occitanie has already confirmed the team and hired new ressources. Lille has already decided to hire a designer and to devote a 350 m2 space to the future Lab at the ground floor of its new headquarter ; the space will be open to citizen and public innovators, and will come in addition to new spaces dedicated to workshops and creative thinking. Two new cities are just joining the program and start the 15 months process : the City of Strasbourg and the City of Metz. In early December, the seven cities currently involved in La Transfo and the cross-disciplinary teams supporting them will meet for the fifth time for an “Inter-Transfo” session. During one day all of them will compare their situations, share their practices, strategies and tips : e.g how to accelerate impacts, build a sustainable governance, improve the narratives, work with the political level, create an ecosystem around the lab, but also change perceptions about creative tasks, overpass paradoxal demands or manipulation, manage sharp drops during the process, team turn-over or forthcoming elections, etc. This conversation has also started at an international level, notably in July during an event organized with Bloomberg Philanthropies in Los Angeles, with the active participation of several Innovation Teams (Los Angeles, Long Beach, Austin), the City of Paris, Lille, Occitanie, and several service designers. The experience from La Transfo is now highly visible at national and international levels : many articles have been published in the specialized press -including a series of stories in the main famous magazine in the field-, many cities and suppliers try to replicate the model (several consultant agencies, Swedish and Swiss cities such as Geneva, French county governments like Creuse), and even the French national government has launched a call for proposal inspired by La Transfo. La Transfo is a race against the limited time available during 15 months, notably the time allowed to the groups of volunteers civil servants by their hierarchy (no more than 35 to 40 days during the whole process, set out through a mission statement), the time of the cross-disciplinary teams (including the session in the fields, the management of the process, preparation and debriefing phases, inter-transfo sessions, etc), and the time ensured by La 27e Région in terms of project coordination. That’s why the idea for 2019 would be to set up a new set of activities that would focus on helping all the teams to build their next step and sustainability, a “real maker” task force that would specifically address all the lacks and needs in terms of governance, business model, proof of concept, assessment, scaling up, by sharing inspiring stories, promoting successful solutions between the labs, showing tangible solutions and services, but also developing peer-to-peer activities and creating a movement gathering all the cities. This is what we’re preparing now. So stay tuned with La Transfo, the best is yet to come ! (1) A few reminders about La Transfo : La Transfo is an independent action-research program led by la 27e Région, and not a consultancy purchased by cities. It’s a 2,6 M€¬ program co-founded by the cities (55%) and by Bloomberg Philanthropies (45%). During a period of 15 months, a multi-disciplinary team of residents takes up shop within a volunteer city for 7 weeks to play the role of temporary innovation laboratory. The team closely works with a group of twenty civil servants, all volunteers and with highly diversified profiles and levels in the organisation. This group will not only learn how to use innovation methodologies on a various set of real cases, but he will also explore how to create a permanent lab, including its governance, main activities, resources and budget. Twice a year, all the cities involved in La Transfo share their views during an « Inter-Transfo » event.